In the 1860s Emma Bailie left England for Darmstadt in Germany to be under-nurse to the great-nephews and nieces of the Grand Duke of Hesse. She would have been about twenty-five years old. In 1872 she was taken on by the Grand Duke’s niece Marie, Princess Gustav of Erbach-Schönberg. Emma cared for all the Princess’s four children but her principal charge was the second son ‘Maxi’, a profoundly handicapped boy who was bedridden all his life. He never spoke, never smiled, never showed the least sign of recognition and was subject to recurrent fits and his mother adored him. When he died at the age of thirteen she appointed Emma, his faithful nurse, as her housekeeper. The two women stayed together until the death of the Princess’s husband, after which she could no longer afford her large household and was obliged to pension off many servants. 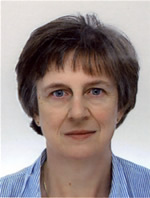 Emma, then in her sixties, went back to England. But after so long, neither she nor the Princess could bear the separation so she returned to Germany and kept house for her Princess as before. She stayed on through the First World War, obeying a human loyalty deeper than her love of country. She endured the privations and food shortages suffered by all Germans and died of the effects in 1919, her seventy-fourth year. Emma was one of thousands of British women who made a similar journey to Europe or further afield, leaving home and family behind to care for other people’s children. From the end of the 18th century the consensus held that the best nannies in the world came from England (meaning also Scotland, Ireland and Wales; few foreigners understood the distinction.) In some countries it holds to this day. From Scandinavia to the Balkans, Portugal to the Far East, the wealthiest and most fashionable families cried out for English nannies and governesses for their children and nowhere was this more true than in the Courts and homes of royalty. The future rulers of Eastern States and continental empires grew up speaking English as their first language, following the same nursery routines and all wearing similar clothes. It was an early training they never forgot and their nurses were remembered with affection: when Kitty Strutton, a bricklayer’s daughter from Hackney, died in St Petersburg the Tsar of Russia and his four brothers walked through the snow behind her coffin. Frances Fry saved the life of her premature charge, Grand Duke Dmitri Pavlovich. He would go on to be one of the murderers of Rasputin; a curious legacy to history for an Englishwoman who would most certainly not have approved of killing. Queen Victoria’s grown-up children raised a memorial to one of their nannies, ‘old May’, and the family of her grandson George V never forgot what they owed to Charlotte Bill, ‘Lalla’ for her devoted care of Prince John. Important new material on the story of the so-called ‘Lost Prince’ and his nurse is one of the features of this book. Across the world, many British nurses shared the tragedies of their royal employers as Lalla Bill did, but sometimes the clash of cultures could be hard. Anna Leonowens, one of the most famous of all royal governesses, seemed bewildered rather than honoured by the attention the King of Siam paid to her after the death of his favourite child. But bewilderment; disapproval, even, never dented the women’s regard for their duty. In Egypt in the 1860s Emmeline Lott tried to curb the cruelty of the little Grand Pacha Ibrahim – ‘Child as he was,’ she said, ‘his word was law and nobody dared disobey him’ – but though her delicate sensibilities were often affronted by her charge’s ways, and by harem life as a whole, she never wavered in her attempts not only to teach him but also to protect him from poison – a ever-present danger in the Khedival Court. 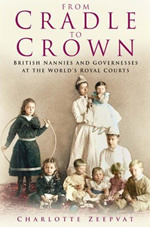 From Cradle to Crown draws on the individual experiences of over 120 named British women who worked for royalty from the 1770s to the 1950s. Told wherever possible in their own words using unpublished letters and diaries, household records and rare published memoirs, their stories give a unique insight into private, family life as it was lived inside royal palaces. The nurses and governesses observed the ways of royal households and the customs of other countries without ever losing the qualities that made them unique. They adored and often outsmarted the children in their care and were never afraid to stand up to the highest in the land to defend their values. They were caught up in the private dramas of the royalty they served and in the great events of history – and they left a story well worth the telling. From their charge of the nursery to their encounters with the famous and the powerful; from their presence at weddings and coronations to their accounts of some of the most turbulent crises of the twentieth century, this book offers an unparalleled insight into a largely ignored aspect of women’s history. "In the 1770s, the future Tsar Alexander I and his brother Konstantin were nursed by the British sisters Pauline Gessler and Sarah Nichols. . . . Nearly 200 years later, the nanny of Crown Prince Felipe of Spain was not one of his own countrywomen but the Briton Anne Bell. In the intervening period, British nannies and governesses had infiltrated palaces from Vienna to Siam, Athens to Alexandria. Their stories – individual and collective – are the subject of this absorbing survey." "What emerges time and again from Charlotte Zeepvat’s riveting book is that, for many British nurses and their charges, this was the most significant relationship they would develop in their whole lives." "... full of good things." ". . . curiously uplifting." ". . . a fascinating and long-overdue history of these little-known movers and shakers." ". . .a genuinely pioneering piece of work . . . . packed with memorable characters, organised with great clarity and efficiency and written with insight, humour and great style. . . . this most fascinating and engaging of books."